Chicago criminal attorneys at the Law Offices of Hal M. Garfinkel provide legal representation for a variety of serious state and federal criminal charges. Call our Chicago federal criminal lawyers today at 312-629-0669. Hal is also a member of the Illinois Capital Letigiation Bar and is certified to handle dealth penalty cases. He also deals with criminal appeals and petitions for post-conviction relief. Contact the Law Offices of Hal M. Garfinkel by dialing 312-629-0669. Our initial consultation with prospective clients is free of charge. The Law Offices of Hal M. Garfinkel is an experienced and aggressive law firm handling Chicago criminal defense cases. Our Will County attorneys can assist clients with white collar crimes, DUI/DWI cases, state drug charges and federal offenses. Illinois criminal law attorneys from the Law Offices of Hal M. Garfinkel can assist you in building a solid criminal defense in court. Our criminal defense team is dedicated to our clients' goals whether you have been charged with federal white collar crimes or first time DUI. We offer a free initial consultation with 24/7 availability for off-site, jail, or police station visits. Simply call 312-629-0669 to reach an attorney today. Our law office serves Illinois clients in Chicago, Oak Park, Park Ridge, Orland Park, Calumet City, Skokie, Evanston, Cicero, Berwyn, Des Plaines, Schaumburg, Bridgeview, Wheaton, Waukegan, Bolingbrook, Joliet, Naperville, Aurora, Elgin, Downers Grove, and Buffalo Grove, and also DuPage County, Cook County, Lake County, Champagne County, Kane County, and Will County. Harold M. Garfinkel is an experienced Chicago criminal defense attorney and former prosecutor. From homicide charges to DUI arrests, Hal is committed to getting results for his clients at the Law Offices of Hal M. Garfinkel. 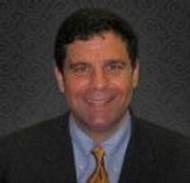 Hal is a well-respected veteran lawyer with nearly 20 years of criminal law skills.